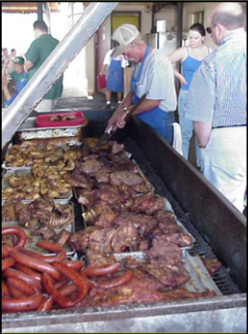 Hello from the Texas Hill Country, the Bar-B-Que capitol of the world. 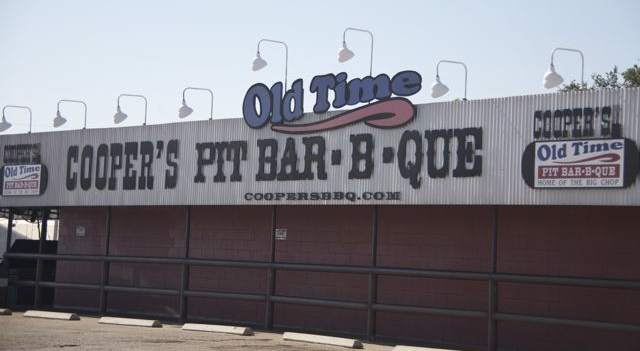 Cooper's Old Time Pit Bar-B-Que of Llano is honored to be the best of the best in the Bar-B-Que business and original home of the "BIG CHOP". 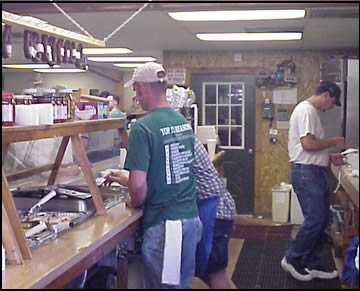 The Wootan Family has provided its world famous Cooper's Bar-B-Que to hundreds of thousands over the years through it's family owned and operated restaurant. 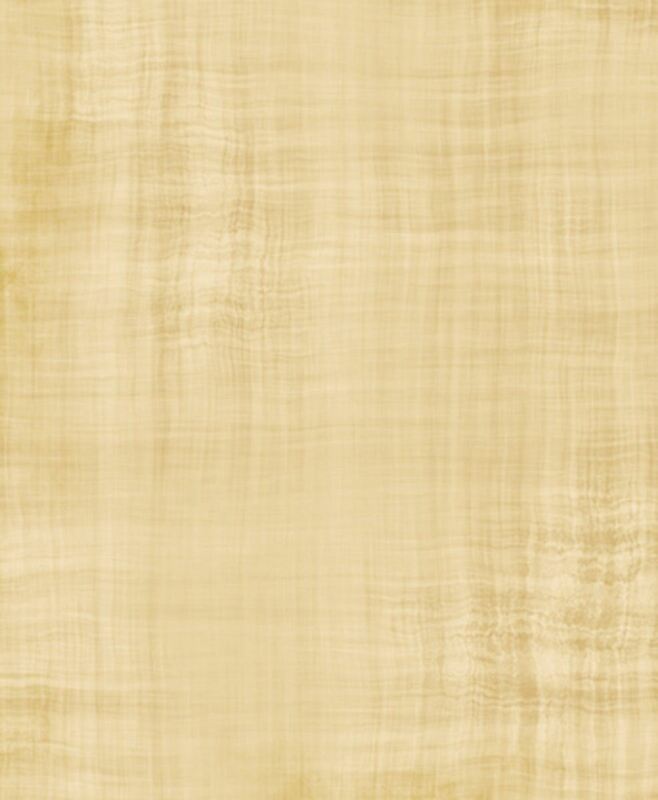 Now we are pleased to be able to provide our products to you through our expanded mail order operation. Special care has been given to assure that our shipped products arrive to your doorstep with the same quality that our customers have always come to expect. Why try the rest when you can get the best? Enjoy and God Bless. 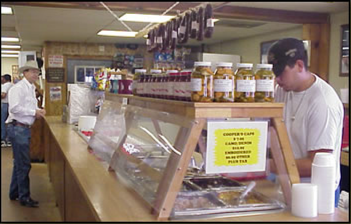 to Cooper's to select your cut of meat. where your selection can be sliced for you. 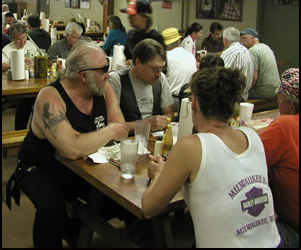 Choose from Cooper's selection of Potato Salad, Cole Slaw,Dessert, Soft Drinks and more. Stop at the cash register to pay for your meal. 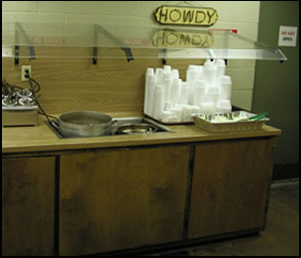 Then head to the back of the Dining Area where you will serve yourself drinks, beans, BBQ sauce and pick up your eating utensils. Sit down at one of the long tables and enjoy. Just in case you can't finish the full meal, take-out trays are available.